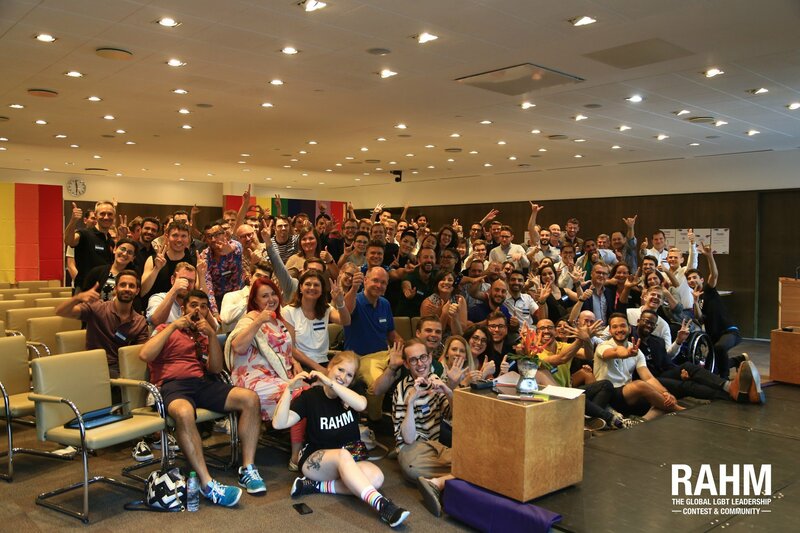 Last week, RAHM – The Global LGBT+ Leadership Contest & Community marked its second anniversary – this time in London. 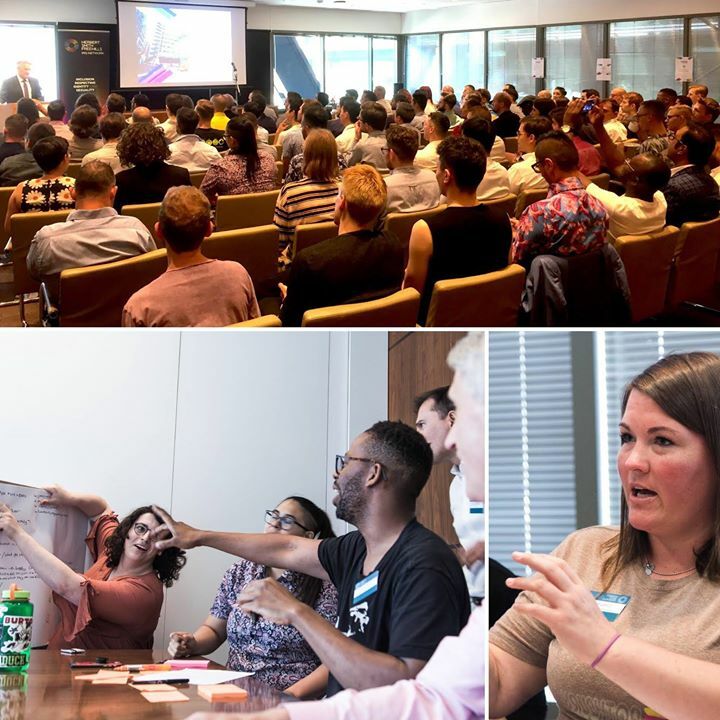 More than 100 selected LGBT+ present and future leaders were brought together at Herbert Smith Freehills LLP to discuss about burning queer issues, expand their international network, train their leadership skills and be inspired by the other LGBT+ finalists coming from 27 different countries, representing all regions of the world. 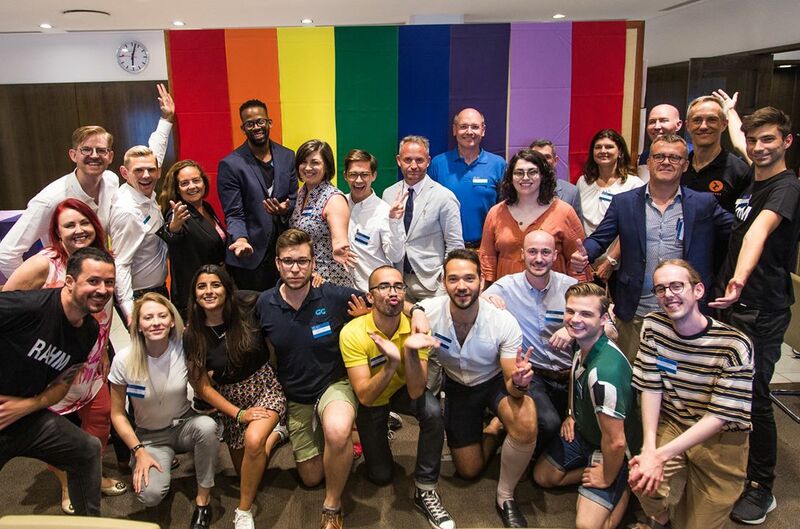 From young talented students to Top Executives (click here to see the RAHM TOP Executive Jury 2018) selected for their incredible leadership skills, they debated on topics such as pinkwashing, LGBT+ quotas in executive boards or the added value of straight allies within the community. They came out with plenty of innovative and fresh ideas, which will help to improve and boost initiatives towards diversity & inclusion in the following year. According to recent studies, there is a distinct lack of LGBT+ role models in the workplace and in the society. 62% of Generation Y LGBT+ graduates go back into the closet after leaving university and starting their first job. 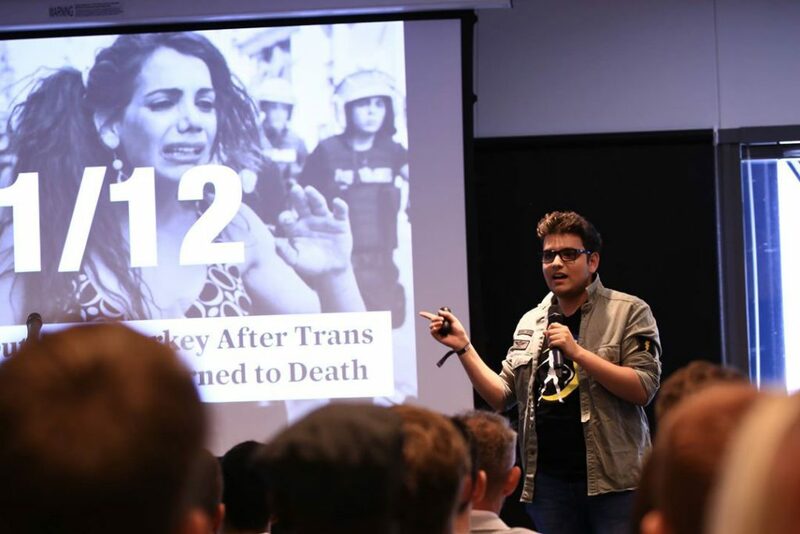 Samet Akti, last year’s top 3 finalist of the RAHM Contest and marketing intern at Google, welcomed this year’s 100 finalists with a thought-provoking speech, emphasising the importance of LGBT+ representation in wider society. “Visibility is crucial to encourage LGBT+ youth and to give them someone to relate to” says the 23-year old in his genius keynote “Why I’m gayer than I should be”. This year, not 10 but 11 of the 100+ LGBT+ contestants have been elected by their peers as the most convincing and inspiring leaders. The 11th winner of the RAHM Contest 2018 in London was ranked only 0.32 points away from the 10th position and 14.8 points from the 12th (in a total of 3253 points) . The RAHM Contests and the RAHM Membership are 100% free. All young trans people (binary as well as non-binary), lesbians, bi, gays, straight allies and others with leadership talents from students to top executives are welcome to apply. Our applicants should have a strong personality with excellent academic and/or professional or personal achievements. We welcome diversity, from students to senior executives and everything in-between. To be part of the next RAHM Contest in Berlin or the next RAHM Contests all across the world, apply now on www.rahm.ceo. 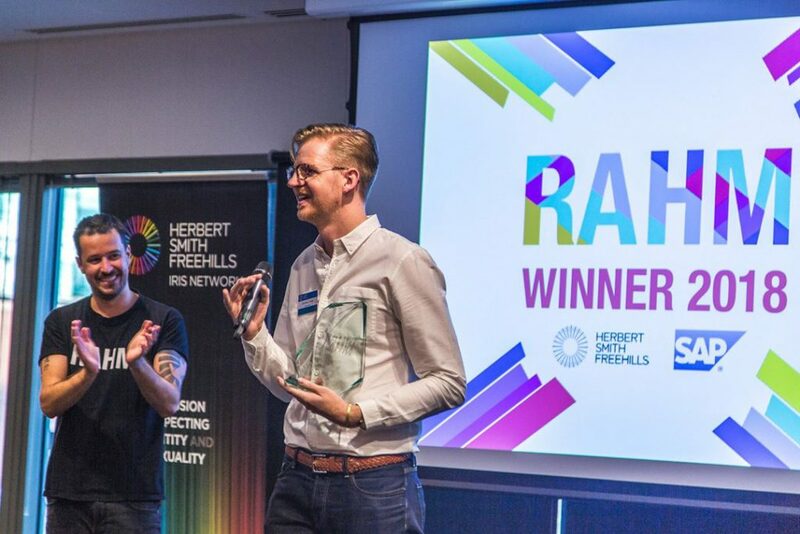 RAHM – The Global LGBT+ Leadership Contest & Community is organised by Uhlala, the Berlin based company founded in 2009 by Stuart B. Cameron. Supporting women in leadership position and a better LGBT diversity in business and tech firms, Uhlala is at the origin of several projects such as STICKS & STONES – the largest LGBT+ job & career platform in Europe, Unicorns in Tech – The Global Tech Community for LGBT+ & Straight Allies, PRIDE 500 – The LGBT employer seal for proud companies and organisations, ALICE – The LGBT+ Lawyers Network and PANDA – The Women Leadership Contest & Network. Apply now for the next RAHM Contest in 2019 here.